​Hanoi (VNA) – Vietnam’s trade deficit was estimated to hit 2.13 billion USD in the first eight months of 2017, according to the General Department of Vietnam Customs. During the reviewed time, Vietnam’s import value jumped by 22.3 percent year-on-year to 135.63 USD while the export turnover reached 133.5 billion USD, up 17.9 percent against last year. The country’s import-export turnover hit 269.13 billion USD, a yearly increase of 20.1 percent. In August only, Vietnam earned some 18.2 billion USD by shipping goods overseas, up 3 percent on-year and imported goods valued at 17.8 billion USD, up 2.3 percent, thus enjoying a trade surplus of 400 million USD. 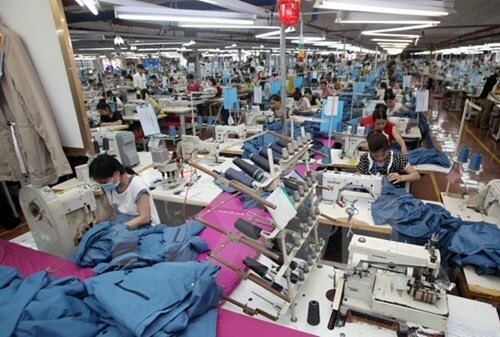 The first eight months of 2017 saw growth of Vietnam’s key exports, with phones and components up 14.8 percent to 25.96 billion USD and garments up 7.2 percent to 16.7 billion USD.